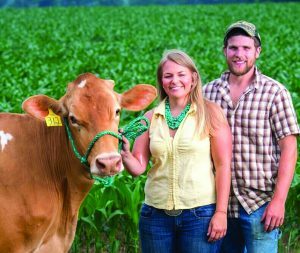 (SALISBURY, MARYLAND) – Maryland farmers Amanda Heilman and Wes Miller will attend the 2017 Soybean Leadership College Jan. 10-12 in St. Louis, Mo. Heilman, of Worcester County, Md., is a seed sales representative for Pioneer Brand Products at Perdue Agribusiness. Miller, of Cecil County, is herdsman at Chesapeake Gold Farms, his family dairy farm which currently milks 250 cows and farms 1,500 acres. The Maryland Soybean Board is sponsoring their trip. In Maryland, farmers grow about a half a million acres of soybeans, producing more than 20 million bushels of beans each year. With a value of $173 million to the state’s economy, soybeans are one of Maryland’s top crops. Miller manages the daily operations of the Chesapeake Gold Farms dairy and its employees. 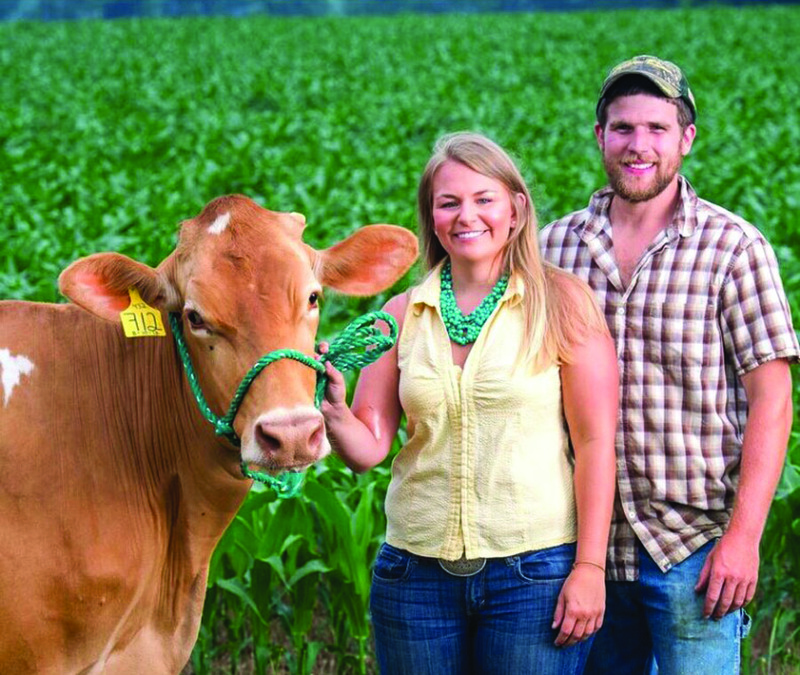 A 2012 graduate from the Pennsylvania State University with a bachelor’s degree in Animal Science, in 2016, Miller was awarded the first Outstanding Young Farmer of the Year award from Gov. Larry Hogan and the Maryland Department of Agriculture. Miller also is active in Farm Bureau’s Young Farmers and Ranchers program and serves on the Cecil County Farm Bureau board. Soybean Leadership College, coordinated by the American Soybean Association, provides current and future agricultural industry leaders with training to effectively promote the soybean industry, communicate key agricultural messages and work to expand U.S. soybean market opportunities domestically and internationally. The program also fosters networking between growers from across the country, encouraging collaboration, which in turn increases the effectiveness of soybean growers at the local, regional and national level.